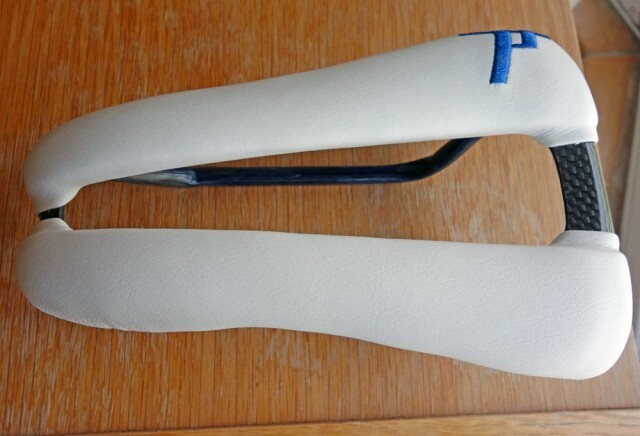 I’m selling a dash Tri 7 Trial saddle on ebay. It is unused and entirely unmarked. 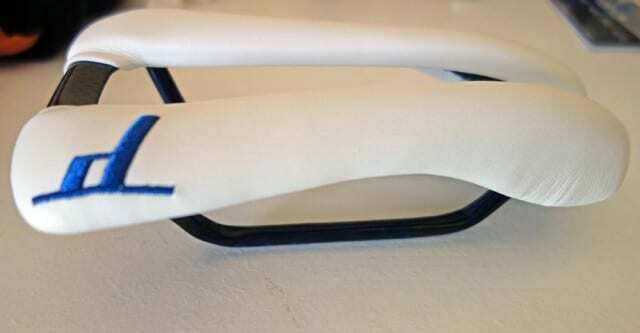 I tested a different Dash Tri 7 saddle and thought it was great. However, by the time it arrived, I’ve decided its wrong saddle for me. It won’t be so good for 12 hour time trials. I saw a rider use one in ECCA 100 and he said he was quite happy. * Triple layer padding, standard reinforcement. 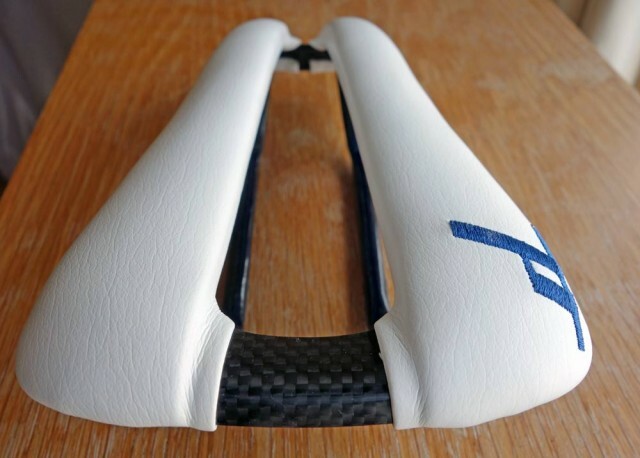 Dash saddle offers excellent comfort for time trials where you are flat out, relieves pressure in groin. 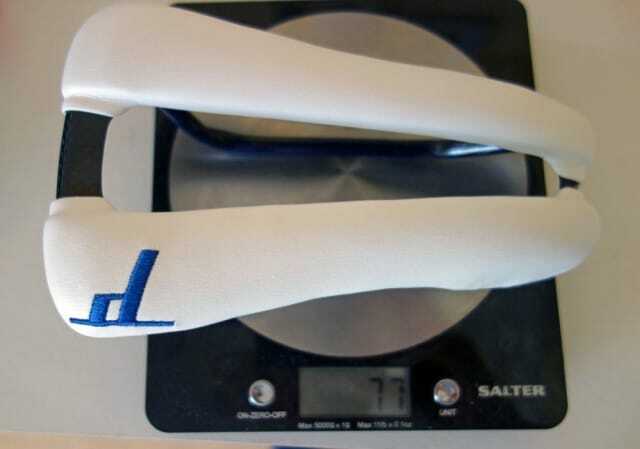 Unlike Adamo, these are super lightweight and aero. 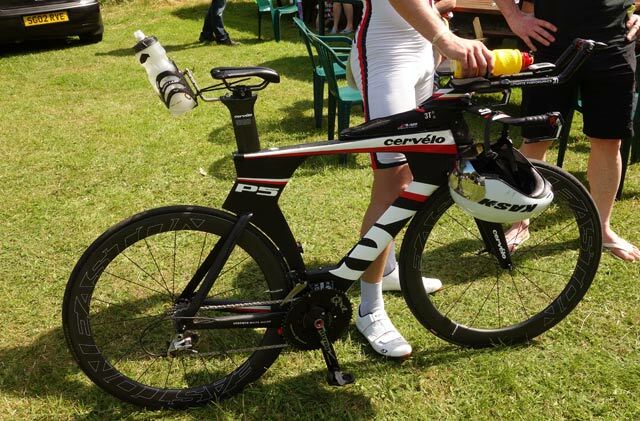 Dash Tri 7 saddle on Cervelo P5 used in ECCA 100.